AvantiPRO Diamond Blades are the perfect choice for DIY users that need a blade that is made to last. The turbo diamond blade is great for fast and smooth cutting of concrete, brick, block, stone, and stucco. For use with circular saws and angle grinders. Bosch high-performance diamond blades are designed to cut faster and last longer. From the highest quality diamonds to the easy-to-understand colour coding system, each blade combines legendary engineering and extensive real-world testing to provide the highest level of performance for every application. Patented Laser fusion blades set the Bosch line apart from the competition. The exclusive process uses a precision laser application to fuse a proprietary mix of diamonds and metal bonding material directly to the steel blade core. Strap this 14-inch diamond blade onto a Hilti handheld gas saw to rip through concrete, brick, cement, cinder block and other masonry. It's outfitted with 25 laser-welded segments and designed to be used on dry or wet surfaces with a maximum cut depth of 4.92-inch For professional masons who depend on rugged equipment, this diamond saw blade is the go-to power-tool accessory for tough jobs. 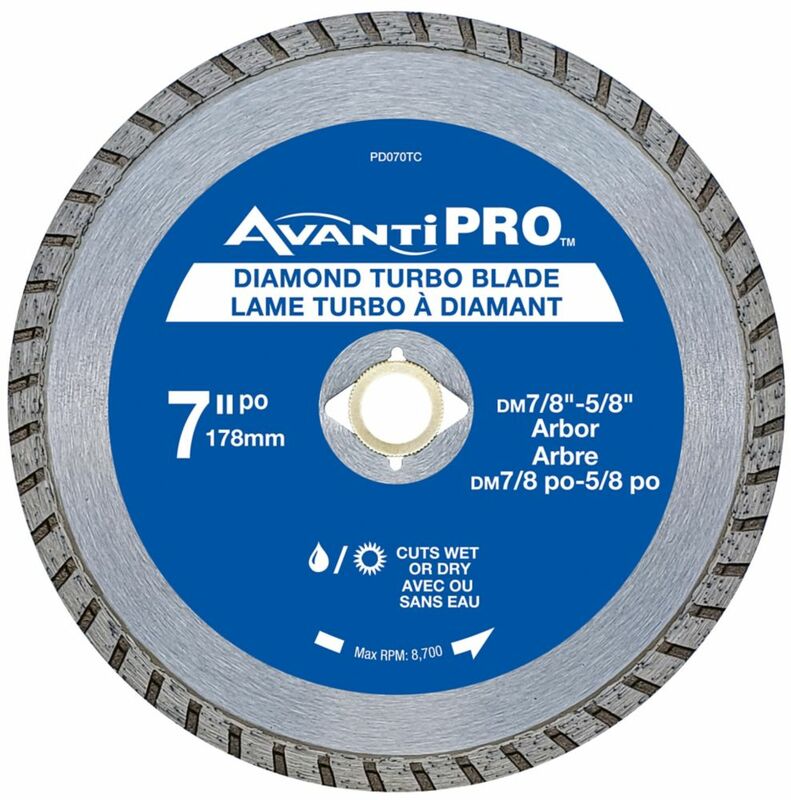 7 inch Turbo Diamond Blade AvantiPRO Diamond Blades are the perfect choice for DIY users that need a blade that is made to last. The turbo diamond blade is great for fast and smooth cutting of concrete, brick, block, stone, and stucco. For use with circular saws and angle grinders. 7 inch Turbo Diamond Blade is rated 4.2 out of 5 by 197.